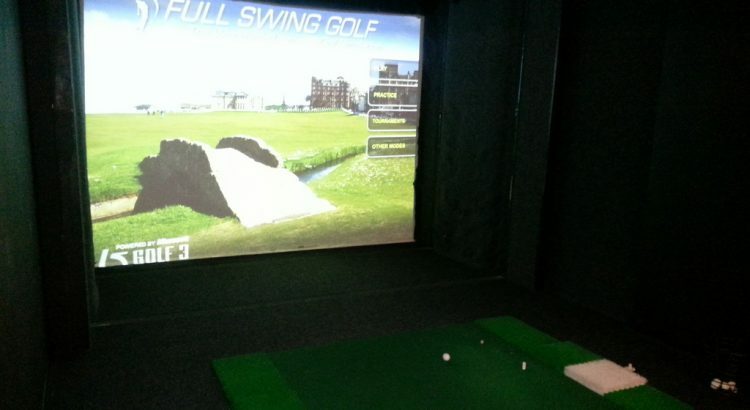 Installing a home golf simulator will ensure that you will always be able to get a round in regardless of the weather. They provide the realism of the game as well as many fun modes all within the convenience of your own home. The best golf simulator is the SkyTrak Launch Monitor with the Game Improvement Package that uses high-speed photography for accurate realism of the game. Golf simulators are in essence an expensive toy but what separates “men from the boys” is, of course, their toys. If you are a golfing enthusiast, a home golf simulator is the ultimate toy and will provide hours of enjoyment. 7.1 What is included with a Simulator? Due to the cost of a simulator, its crucial that the one you choose has all the features, modes and accuracy to reflect golfing in the real world. The price range of home golf simulator vary massively and there is even budget version that go a lot further than the average golf swing analyzer. The majority of setups include a simulator, projector, mat, net and other components. With all this equipment, its important that you take the required measurements (height, width and depth) to be sure that it will fit within your home. If you can afford to purchase a simulator, they are an excellent investment for hours of fun. Below is a list of the best golf simulators that provide the ultimate experience whilst being in the comfort of your own home. SkyTrack is by far the most popular home golf simulator and it comes with a game improvement package. The package includes a range of modes such as target practice, longest drive competitions, closest to the pin and many others. 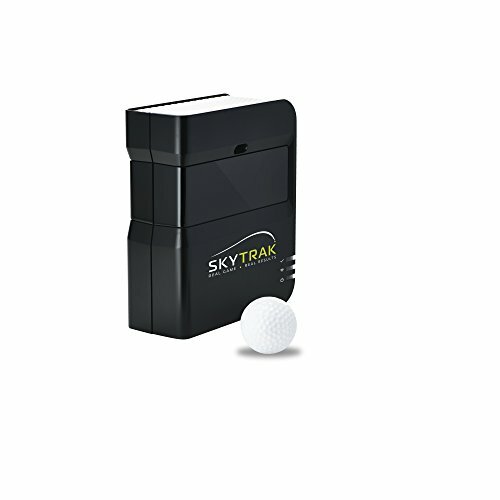 The SkyTrack provides the most realistic golf practice without actually going on the course. It provides immediate shot launch data and ball flight visual feedback that measures the ball speed, launch angle, club speed, side spin, backspin and more. In terms of the technical specification, it works with both Windows and iOS operating systems but requires 3D graphics support and 2GB of RAM or higher to operate smoothly. It also has the option to connect via a wireless connection, which can make setting up the simulator much easier. Overall, it is the best golf simulator for your home with every feature that you would want. The added game improvement package also adds to the experience and provides more modes to play around with. The Optishot 2 is another premium example of a golf simulator and the main competition to the SkyTrack. It is a large simulator measuring 9 x 9 x 8 feet in size and has a breaking test of 270 LBS to withstand heavy golf ball impact. Included with the complete golf simulator package in the simulator, touchscreen laptop, turf top hitting mat and other components. The Optishot 2 comes pre-loaded with 15 courses and driving range but you can purchase additional courses within the system. This home golf simulator comes as a complete package with no additional components required. It definitely provides the realism of playing golf on a course and as far as golf simulator go, it is fairly cheap as it contains everything you require. The P3ProSwing is a fairly priced simulator that comes pre-loaded with 20 virtual golf courses, driving range and various skill challenges. On top of this, it features a 12 point swing analysis for the most accurate feedback with regards to your golf swing. This home golf simulator uses 65 infrared sensors that reflect light off your clubs and back to the sensor in order to simulate a golf shot. From the sensor readings, it is able to provide feedback on various parameters such as club head face angles, sweet spots, club head speed, ball speed, ball distance and so much more. There are similar simulators available but nothing compares to the durability, accuracy and features available with the P3ProSwing. It is expensive compared to the alternatives that use a similar system but its well worth paying the extra. For those that are looking for an affordable golf simulator, the Rapsodo R-Motion is the only option. 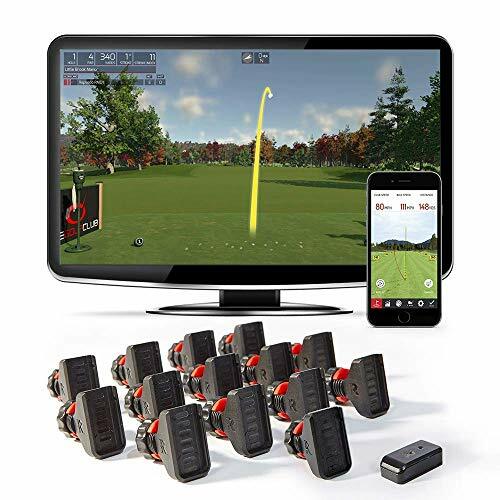 It connects to your golf clubs and the device connects with the software in order to play virtual golf with 15 different courses to choose from. It is a very simple setup, all that is required is a mat and hitting net and you can get started. On every shot you take with the Rapsodo R-Motion, the data is recorded immediately and feedback data is shown on every shot. Overall, it is the best affordable golf simulator that allows you to set up and play virtual golf in a matter of minutes. As its a fraction of many of the premium projector alternatives, you cannot go wrong with the Rapsodo R-Motion. The TruGolf home golf simulator is the most expensive but the best portable golf simulator you can buy. Due to the cost of the complete package, it is not suited to anyone on a budget but it could be used for someone looking to start a business. 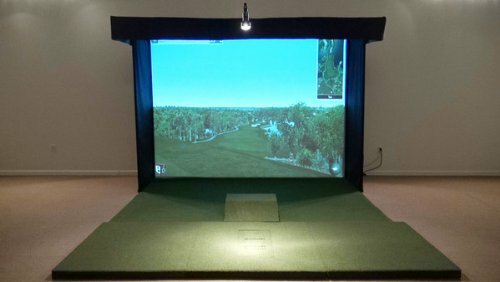 In terms of the size of the projector golf simulator, it is 12 x 16’6 x 9 feet and is a tool-free assembly for a fast setup. In terms of its simulation software, it uses TruTrack and an E6 software HD 3D projector for the ultimate experience. TruGolf comes preloaded with 15 standard courses and the complete package comes with the projector, simulator, full mat system, impact screen, aluminium frame and the remaining hardware required to set the simulator up. This home golf simulator is the ultimate package and if you were setting up a golf simulator business i.e. for birthday or wedding parties, then this would ideal. Every golfer has dreams of playing the golf in their home. Thanks to the latest technology, golf simulators have improved massively and are much more complex than your average golf hitting net. They provide a range of courses, game modes and precise accuracy. The flight of the golf is shown on the TV screen or the computer. 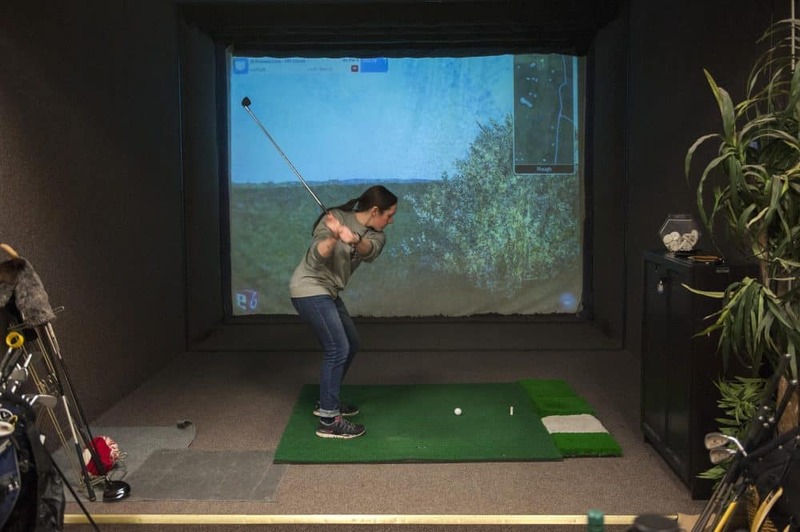 The golf projectors can be mounted on a wide range of places including business offices, private homes, golf retail store, or indoor golf places. The recent golf simulators use the computer vision camera, which uses high-speed cameras for tracking both the golf ball and the club, after hitting the regular golf ball. It can cost you around $500 to $70,000. The price for each material will depend on the durability and quality. What is included with a Simulator? Mats: Mats are very important. They are very expensive to manufacture, making the shipping costs to be expensive. However, you can find other alternatives, which are cheaper. The problem is that the alternative mats will not serve you for a long time. The price will guide you in buying the mat. The best quality is expensive. Projector: Having a projector in your home can be a challenge. Each house will have specific needs due to the light, simulator software needed, and the size of the room. However, not all the projectors are the best for a home golf simulator. Although you will come across different prices and models, you should be careful about the usability and the quality. Nets: Nets are for preventing damages to your wall. If you will be using a projector, then you will require an impact screen. However, the prices regulate the quality. The net that is expensive, is likely to be the best. 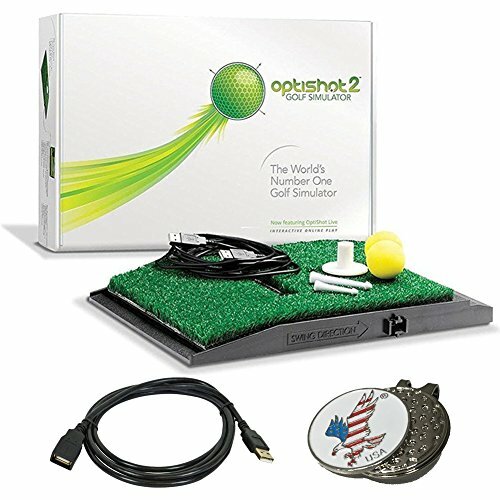 Computer: The entire home golf simulator will require a computer so that it can run the software. Many people do not buy the computer, they consider it to be added costs. Some people do have a laptop, tablets, and desktops that are capable of running the software. Space required: You should also consider the space that you have in your room to accommodate the golf simulator. You must have enough space so that you can swing the club comfortably. Ceiling height: The golf simulator room should have a good height of around 9’. The height provides a good clearance for any golfer. A room of less than 9 could still be okay for some golfers. However, it will depend on your height and swing. The most important thing is to make sure that you can have a full swing comfortably. Room depth: When you are dealing with the width of the room there are a few things you must consider. The width of the golf net or impact screen should be given the first priority. Most of them are from 5’ to 10’. You should make sure that they are compatible with your room. Typically, a width of 12’ will offer you the comfort you deserve while making a right to left swing. As you will be using a golf simulator, a golf mat will be required for you to take the shot. There are two different types of mats and these are a fiber built and true strike mat where both have their own advantages. The fiber mat is considered as best for both indoor and outdoor. The product is designed to offer realistic feeling. It also helps the joint when making the swing movement. The quality makes it to be a leading product in the market. Many golfers have discussed it to be the best and safe. It is available in different sizes, thereby, making it easy for you to find the right size for your space. This is another option to consider. Just like the fiberglass mart, this mat gives you the feeling of a realistic movement when you are striking the ball. The only difference is the surface used. It has a silicone gel on the top side of the moulded foam underneath their turf. Typically, the gel is used for reducing the shock and the vibration making it easy for your joints. Price: The fact that a golf simulator can be expensive does reflect on its usability or the quality. Generally, the price gives an image of the marketing brand or the manufacturer. However, you should not buy the simulator based on the name. it is important to buy according to your budget and save your money. Courses: It is very important to find out how many courses and type it has before buying. That will save or cost your money. It depends only on the value course name. You should consider having more than 12 courses. Components: You should know what the golf simulator comes with before buying it. Most of the manufacturers will sell you a full operational simulator. There are manufacturers who will supply a full operational simulator to the customers that do not want to build their own. They also supply modular systems to the golfers who are willing to build a home golf simulator in their home. Building a golf simulator is very expensive but you will learn more concerning the golf simulator. 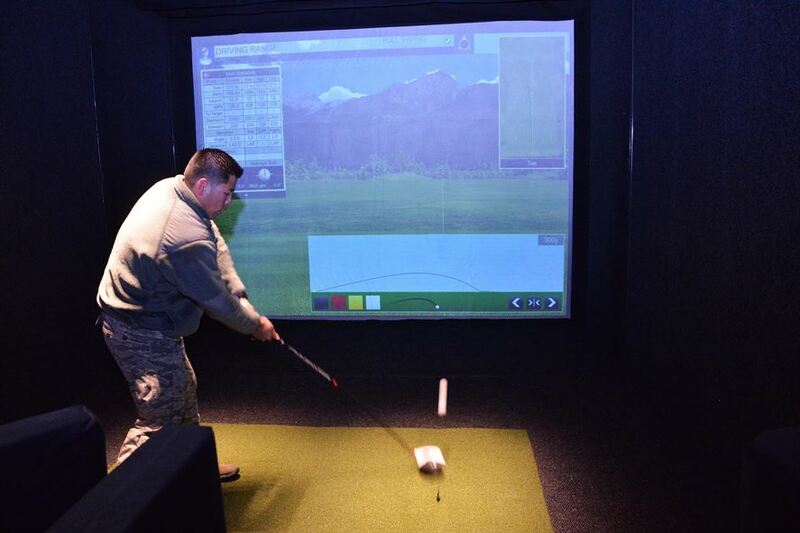 There is no denying that an indoor golf simulator is not expensive because it is. However, the amount of enjoyment you can have with it is endless and when you combine all your training aids i.e. 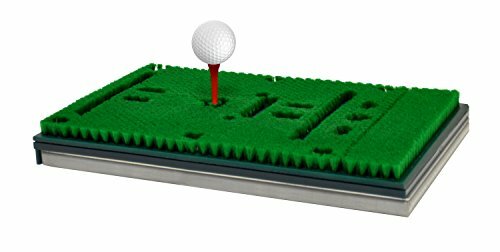 golf chipping net and others, it may even come close to the cost of one. Why is this being mentioned? Well, most golf simulators come with a range of different modes such as chipping practice, longest drive and so much more. Investing into one of the recommending home golf simulators above is 100% worthwhile but only if you can afford to do so. For those that want to start a business, then one of these complete packages will be ideal and the ROI is very high.